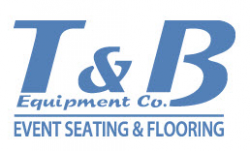 T&B Equipment specializes in event planning and spectator seating layouts for a variety of events. The headquarters for the company is located in Richmond, VA. The company has a facility that is located in Goodyear, AZ. Currently the company is merging with another company called SGA Production Services.